Contact lenses might correct your vision, but they are also hazardous for your eyes if you do not exercise the proper lens hygiene. If you are going to use contacts, then you will need to be very careful about how you are handling them. If the prospect of having to put your fingers onto your eyes every day isn’t enough to turn you off from being a contact lens user, then you might be interested to learn these 5 Things You Should Never Do With Your Contacts. 1.Forget To Wash Your Hands:Yes, you must make sure to wash your hands before you put your contacts in, or take them out. Just because your hands look clean doesn’t mean they are bacteria free! Don’t forget to wash your hands, or you might unleash some unwanted bacteria on your sensitive eyes. 2.Reuse Contact Lens Solution:Contact lens cleaning solution is a pretty effective disinfectant—that is until you leave it sitting around in the open for bacteria to flood in. Believe it or not, bacteria can overpower the disinfectant in the cleaning solution. Reusing the same contact lens solution over and over puts your eye at risk of bacteria that can cause eye infections, which could lead to much more serious eye complications that might require surgery. 3.Leave Your Contacts Case Nice and Wet:One thing to remember is that bacteria love a moist/wet environment. If you forget to dry out your contact lens case, then it will become the new spot in town for all the bad bacteria to hang out in. You don’t want to allow dangerous bacteria into your eye. 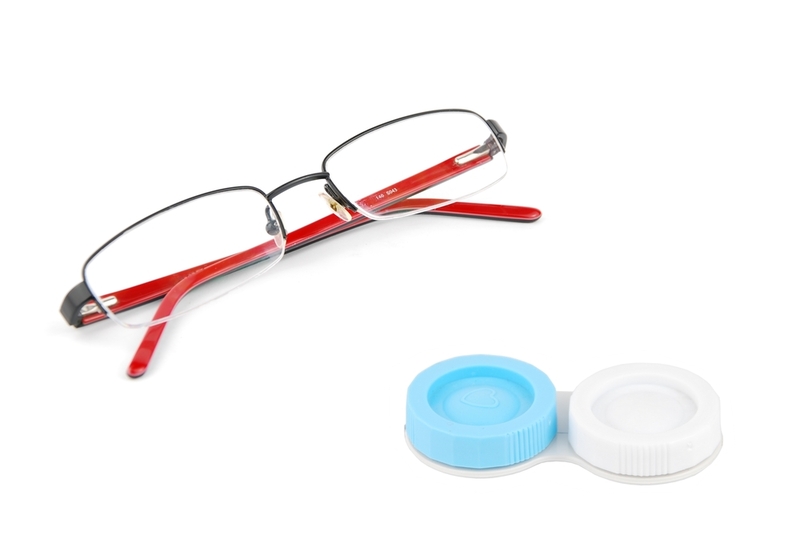 4.Neglecting to Clean Your Contact Lenses Every Day:Contact lenses are shaped like little bowls, and like bowls they can collect things in them. Over time your lenses can be filled with microscopic bacteria that are then pressed directly onto your eye for easy access. These deposits of debris and bacteria can cause severe reactions on your eyes and even your eye lids. Don’t allow this to happen, clean your contacts every day and save yourself the potential discomfort. 5.Not Clean Your Contact Lens Case:You will need to do more than just dry your contact lens case to keep the bacteria away! You will need to gently wash it with soap and water at least once a week. Once you are done giving it a thorough wash, make sure to dry it out!